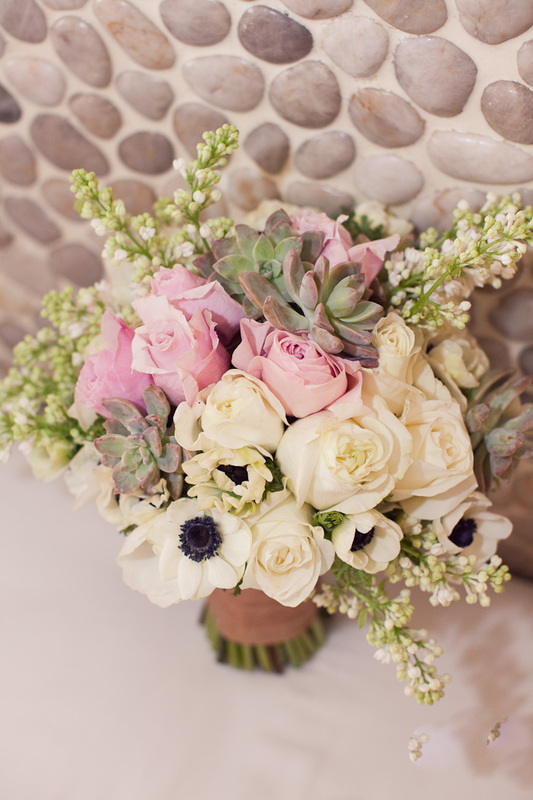 What Louisa Loves: To Bouquet or Not to Bouquet? Five years ago I read an article in Vogue Magazine which featured the wedding of Donald Trump and Melania Knauss and I remembered something she did not do and also something that she said. She did not carry a bouquet and when questioned about her decision by the interviewer, she asked "why should I, because everyone else is carries one?" I loved the fact that she had this huge lavish reception, but that she kept her church ceremony simple (as far as Trump standards go). She had no bridesmaids (her sister served as her maid of honor), the flowers and decor were minimal compared to what she had at the reception, and she carried a heirloom rosary when she walked down the aisle. She really kept the ceremony focused on the marriage, and I greatly admired that and wanted to do the same. The time I most look forward to on August 13th is the 7 o'clock hour. That is when our marriage (and full Mass) will take place and, to me, that will be the more important part of the day. My number one priority when starting to plan our wedding was securing the church, and that was the first thing Mr. CF and I decided on and booked. Like Melania, I do not want to do anything decor wise that is going to compete with the natural beauty of our love. Therefore, there will be minimal decor. So, here's my dillema. My original plan was to carry my mother's prayer book with my grandmother's rosary around it as I walk down the aisle. But I can't help feeling like "I should" carry a bouquet. 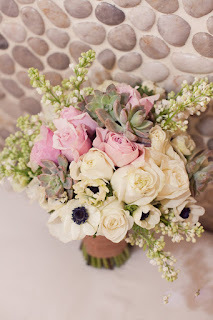 After all, that is what every bride does and there are SO many beautiful bouquets out there. 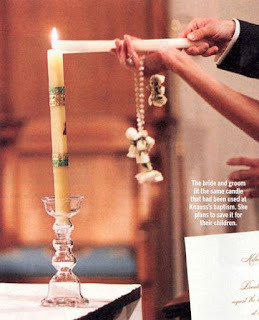 I'm thinking about sticking to my original plan for the ceremony and then having a small bouquet to carry for pictures.